Thank you for joining The Goldenberg Group and The Fund as we launched our “Dress Down for Philly Public Schools” initiative to raise funds and build awareness in support of Philadelphia public schools. 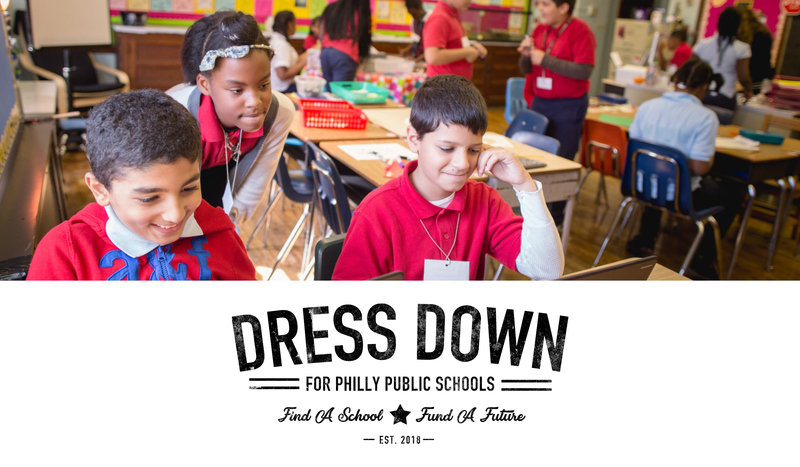 This year's "Dress Down for Philly Public Schools" initiative resulted in more than 1,200 shirts sold, generating $38,638 in sales, and provided funds to 140 Philadelphia Public School through Philly FUNDamentals. A big THANK YOU goes out to everyone who participated! We can't wait for next year! Start a conversation…Are you a product of Philly Public Schools?